UK Prime Minister Theresa May has had some, er, memorable moments during her tenure at the top of British politics. And as the Conservative Party Conference approaches, we thought it was an appropriate time to have a look through the PM’s best/worst moments in office. While in the House of Commons listening to Labour leader Jeremy Corbyn, Theresa May gave her best attempt at a hard giggle…and now it’s forever a meme. It’s normal for politicians to avoid answering questions. But when Theresa May was asked about her “perfect girls’ night”, she couldn’t give a straight answer. It makes for some pretty embarrassing watching. At last year’s Conservative Party Conference, Theresa May stood in front of a display literally falling apart. Letter came off the wall and it was really just a mess. Also at last year’s Tory Conference, Theresa May lost her voice. It was everyone’s worst nightmare. Then, the Chancellor Philip Hammond handed her a throat sweet in front of the whole country. It was funny. But it was cringey as hell. Guess what? 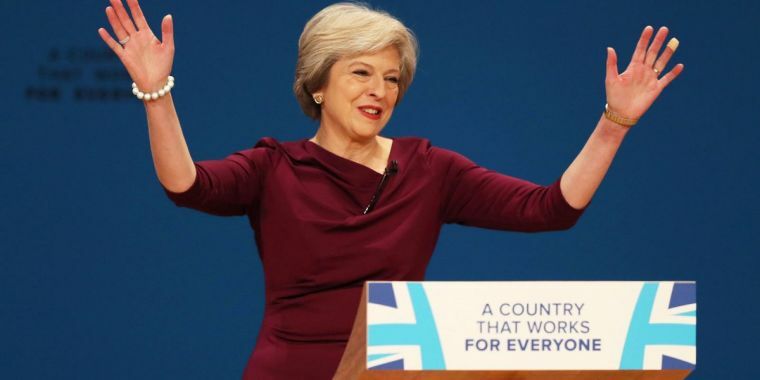 Theresa May’s speech got even worse when a comedian handed her a P45 right in the middle of it. And she actually accepted it! You’ll be might pleased to know that the conference spam is over. This summer, Theresa May went to South Africa and participated in the most humiliating dancing routine we’ve ever seen. Yikes. #YEAR12PROBLEMS #YEAR12PROBLEMS Lib Dem Leader For Next PM? Mastering Politics: What’s an MP? Lib Dem Leader For Next PM? Mastering Politics: What’s an MP?